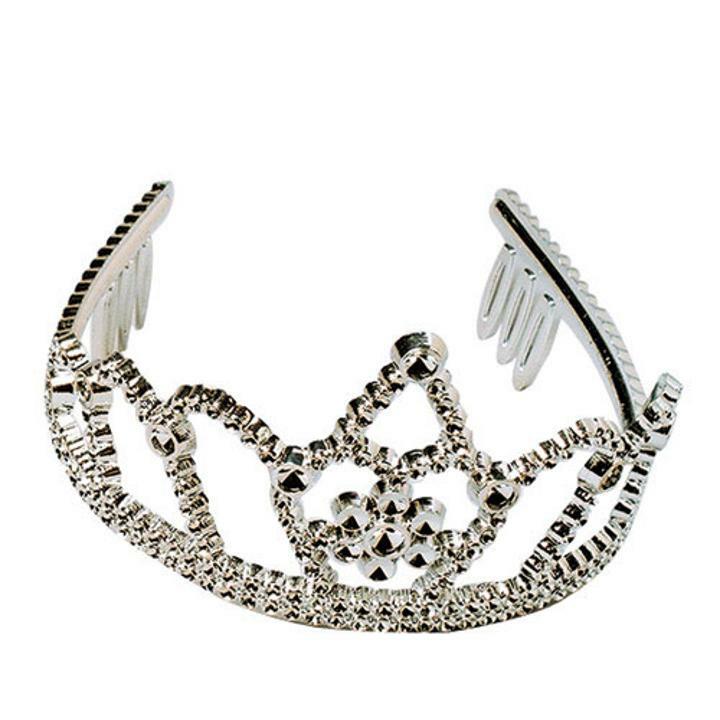 Cheap Silver Tiaras - 12 Ct.
Every princess deserves a tiara and the economical price on these shiny silver crowns means you can please more than one princess. These crowns are also perfect for pageants. Stock up on all your Princess party needs at US Toy. We have the sparkle, bling, glitter, and of course the pink you need to make little princesses happy. With a wide selection of costume accessories and favors we have exactly what a princess needs. Visit our princess party theme section to find novelty toys, stationery items, party favors, party decorations, supplies, games and more all with a princess theme. L: 6.1 in. W: 10.6 in. H: 5.45 in.